For centuries, swaddling has been a way to keep babies feelings safe and relaxed. When a child is wrapped in a blanket, they feel secure like they are in the warmth of the mother’s womb. According to some researchers, swaddling may even be able to help with SIDS (sudden infant death syndrome). It is designed to help babies sleep better and allows them to wake up easily when needed. 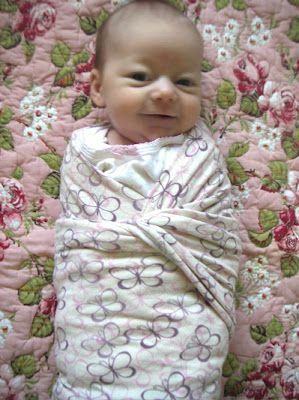 Babies enjoy being swaddled, and it makes it so that they can sleep easily upon their backs. Although young infants enjoy being swaddled, they end up outgrowing it before long. At some point, you will have to stop swaddling your child. You will generally know when your child wants to stop being swaddled. At the age of three months, your infant will start moving around and will want to have additional room. Every child is unique, but most babies will want to stop being swaddled between two and four months of age. Once your child is capable of rolling over on their own, they should not be swaddled. If they are swaddled past this point, it could cause them to suffocate. When a baby is able to roll over, they could end up pushing their face into the material. Although they are able to roll over, they might not be able to push themselves up and would end up becoming suffocated. You should also keep in mind that it is entirely possible for a baby to become too warm. Researchers have shown that babies who are kept at a too warm temperature are more likely to develop sudden infant death syndrome. Ideally, you should keep their room at about 60 to 70 degrees. If the room is already warm, you will need to stop swaddling or reduce the heat so that the child does not become too warm. Over time, your baby has grown accustomed to swaddling. They fall asleep each day wrapped in a tight, warm bundle of material. When this material is suddenly gone, they may have problems falling asleep. To make this transition a little easier, you will want to use sleep triggers to get them used to it. Whenever it is time for bed, go through the same ritual. You may want to start with a warm bath, a bottle and story time. This gets the baby used to going through the same process before bed, so they understand that it is still bedtime even though they are no longer swaddled. If you have enough time to help with the transition, you can always gradually reduce the tightness of the blankets. Every night, switch the swaddling so that it gradually becomes looser. This type of transition is done gradually so that the baby does not even realize that they are no longer being swaddled. By doing this transition slowly over several weeks, you can ensure that your infant is still able to sleep comfortably without being swaddled. 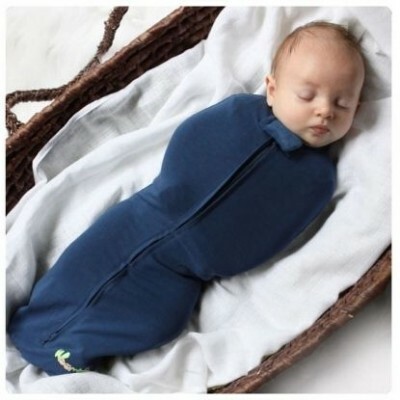 Swaddling is typically a soothing technique for young infants, but some babies will continue to sleep easily while they are swaddled at up to nine months of age. This soothing technique is relaxing for the baby, but it is normally discontinued around three to four months. Often, the child is the best judge about when to end swaddling. The Moro reflex is something that babies are naturally born with. Basically, when the baby is startled or feels like it is falling, it spreads its arms out and cries. When your child is just an infant, being swaddled will help to soothe this reflex. If your infant still has the Moro reflex, then swaddling should be continued or your baby will end up becoming startled during the night and waking up. Often, your child is best able to determine when they are able to stop swaddling. If they are constantly breaking free from their swaddle, then it means that you can use looser blankets and stop swaddling. Being able to break free is not always a sign that your child needs to stop swaddling, though. You only need to stop swaddling them if they are consistently breaking out of their swaddle. When you are swaddling the infant, you should make sure that they never sleep face-down. If they sleep face down, it can cause them to suffocate or have other problems. Once your infant starts to roll over on her or his stomach, stop swaddling them. Likewise, you may want to stop swaddling your child if you have recently started sleep training. If you are still swaddling, you want to make sure that your baby has some time where they are not swaddled. The baby needs to be able to move around freely during the day so that they can begin to develop muscles and gross motor skills. Although swaddling during sleep is fine, you may want to reduce the amount of time that you spend swaddling them while they are awake. Like most things, the real life experiences with swaddling are different than what happens in theory. At around four months, mothers may start noticing that their children are rolling over, sucking on their fingers and wanting to escape from their swaddle. When you notice that your daughter or son is starting to self-soothe by sucking on their fingers, you may be ready to break her from swaddling. While some mothers may have problems getting their child to stop swaddling, others are able to do it cold turkey without any problems. In other cases, the child does not want to stop swaddling until they are nearly seven months old. For these children, parents may want to switch to a potato-sack style gown that keeps their arms inside. Gradually, you may want to switch to removing their arms and spending a few nights with the child getting used to the change. For these more difficult children, singing or reading a book before bed may help them to gradually adjust.